•Fear Free Halloween tips booklet. You send us your pet’s picture below, and yes, you can be in it. We’ll post it on Facebook on October 20, and let people vote on who they think is the best costume! The picture with the most ‘likes’ by October 30 at midnight wins, and we’ll post the winner on Halloween! By submitting a picture, I certify that I have read the contest rules below. I furthermore understand that all submissions become the property of Town N Country Animal Hospital and may be used for publicity purposes..
Prize is not transferable, and is not redeemable for cash value. Prize must be claimed at Town N Country Animal Hospital by November 30, 2018. Employees and immediate family members of Town N Country and Dash Web Consulting are not eligible. Decisions by Town N Country concerning the winner are final. A Facebook “like” is any click reaction to the photo. This contest is in no way sponsored, endorsed or administered by, or associated with Facebook. Horror stories abound at Halloween time, and kids and adults alike are thrilled with make believe scariness that is totally fun. Rabies is a scary story that sounds like a zombie film. But the really frightening truth is that it’s not make believe, and isn’t fun at all. Transmitted by other rabid animals, rabies is a painful killer. Even worse, the disease is zoonotic, which means it can be passed to humans. Are you scared, yet? The Scary Symptoms. The initial symptom is that the animal will show shyness and withdraw from people – including owners. He may also lick the site of the original bite wound. The disease progresses, the animal becomes very aggressive. There may be foaming from the mouth because of difficulty swallowing. Later, paralysis and breathing difficulty will lead to a painful death. The Scary Carriers. Watch out for wild animals that are likely candidates to pass on rabies to your pet like raccoons, skunks, bats, and foxes. Stop the Scariness! Rabies is a very serious disease that can be completely prevented with regularly scheduled rabies shots or boosters. Maybe associating a scary disease like rabies with a scary holiday like Halloween will help you remember your pet’s shots. If you have a puppy, arrange for rabies shots when your pup is between the age of 14 and 16 weeks. That first vaccination is good for a year, and boosters should be administered every year for cats (read more about rabies vaccines for cats), and every three years for dogs. If your pet’s shots aren’t up to date or you’re not sure about your pet’s vaccine schedule, give us a call. One quick appointment will scare proof your pet during Halloween – and the rest of the year. You’ve seen the ads for discount drugs – especially in emails, on Facebook, and on Ebay. “Discount pet drugs!” “Pet Drugs for Less – No Prescription Required!” You probably have a gut feeling that something is scary, and you’re right. Most of these online pharmacies have medicines that are fake, because the truth is they’ve just shifted their shape to look like the real thing. Whether it’s flea medicine or heartworm prevention, your pet could be in danger if you purchase from the wrong source! Really Really Shifty Drugs. It’s true that these drugs are cheaper, but the similarities end there. 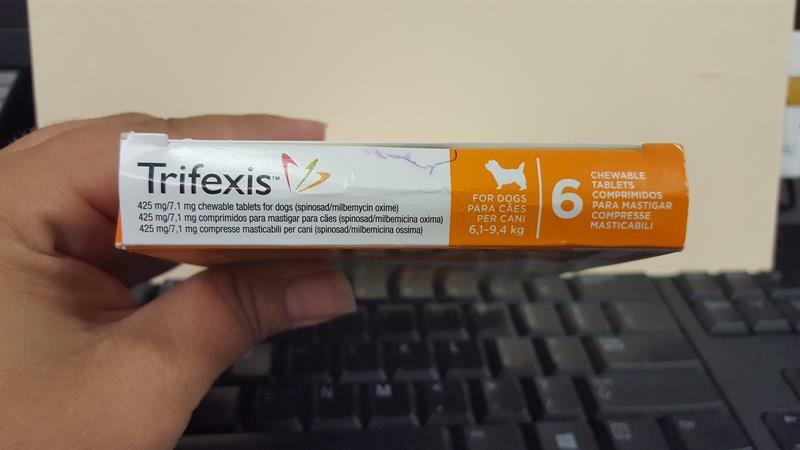 You very often get counterfeit or poor quality drugs, or medicines that have slight variations that could have a big impact on your pet’s health. Sometimes out of date drugs are repackaged. Other times active ingredients are ‘watered down’. And if that isn’t enough to make you run away screaming, giving your email address and credit card number to sites like this exposes you to major spam – or even credit card or identity theft. Which One is the Shifter? 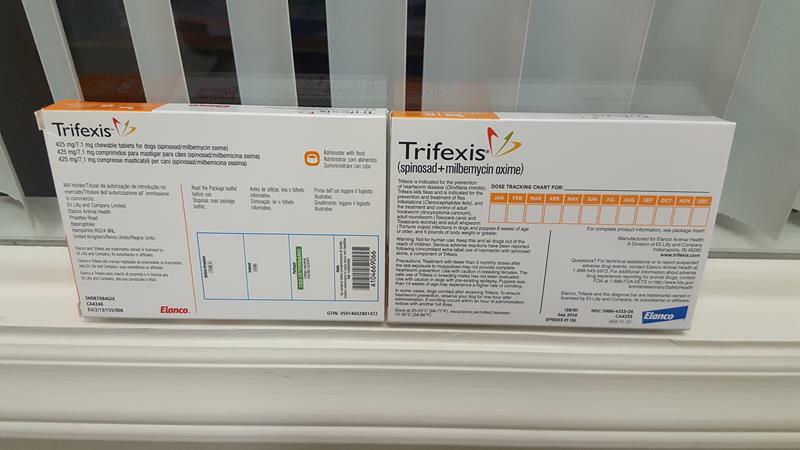 Can you tell which of the two boxes below is not FDA approved? At first glance, we couldn’t either, but you’ll find that the two have different percentages of active drug ingredients. The good, U.S. product from our office is the one with the picture of the dog & child. It’s scary how they both look like the real thing. 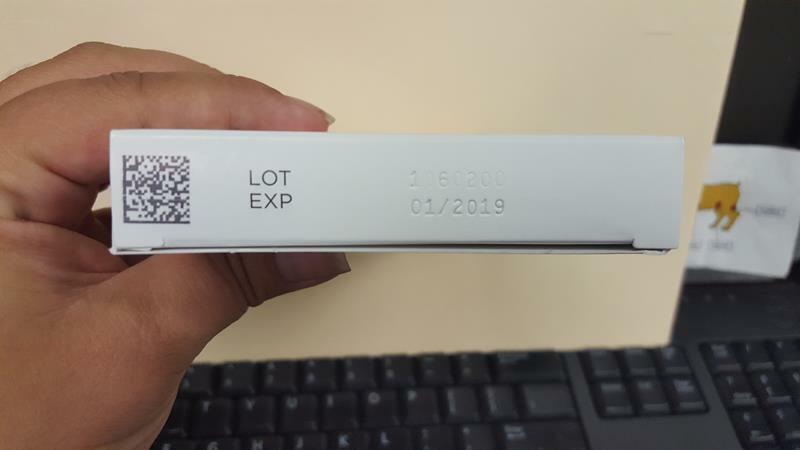 Can you tell which of these boxes is counterfeit? How to Spot the Shape Shifters. As you can see above, it’s not easy! If you’re able to buy prescription drugs without a prescription, it’s fake. If the price is too good to be true, it’s most likely not true. If you get an email advertisement, hit delete! Also steer clear of companies not located or licensed in the United States. You Don’t HAVE to be Scared! Buying medicines online doesn’t have to be scary. We’ve partnered with Vetsource, and their online pharmacy offers you safe home delivery that you can trust. Save your scary encounters for the ghosts and goblins that come knocking at your door begging for candy. When it comes to your pet’s health, play it safe. If you have any questions about your pet’s medicines, please let us know. This box arrived looking worn. This is a legitimate lot number. 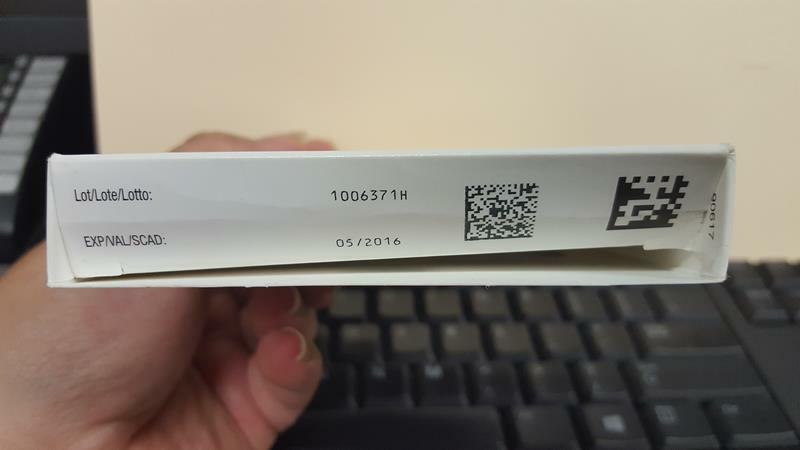 This lot number is from a foreign pharmacy. 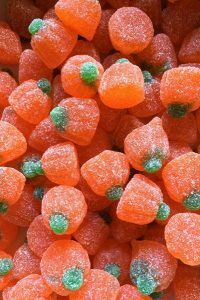 There are a lot of scary things during October, but the most frightening thing for your pet is the thing that kids enjoy the most – candy. Candy is devilishly tempting for your furbaby, and you need to use any tricks necessary to make sure that your Halloween celebration doesn’t turn into a horror movie! Dark Shadows of Chocolate. Although dark chocolate is touted for health benefits for humans, the same dark chocolate is lethal for your dog, cat or ferret. The darker the chocolate, the more toxic it is for your little Barnabas Collins. Symptoms of chocolate poisoning are vomiting, diarrhea, increased heart rate and even seizures and death. At Town N Country, we keep track of emergencies, and many of them are because pets have ingested things they shouldn’t have. The number one culprit is chocolate! Raisins of Wrath. Grapes are toxic, and raisins – which are basically concentrated grapes – are even more so. Keep these tempting sweet jewels out of Steinbeck’s reach. You may suspect that your pet got into these treats if you notice your pet having signs of vomiting, decreased appetite, lethargy, abdominal pain and kidney failure. Little Shop of Sugarless Gum. Gum with Xylitol is a great idea for humans, but for your Seymour, it can be deadly. 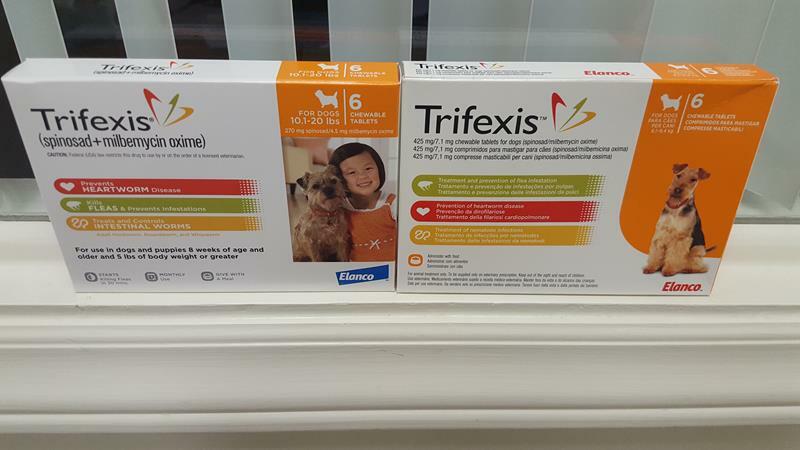 Only 1 – 2 pieces for a small dog, or 8-10 pieces for a large dog, could set off severe hypoglycemia and even liver failure in a very short time. Symptoms include lethargy, seizure, collapse and vomiting. The Shining Wrappers. It’s not just the candy itself…those shiny, crackling, sweet smelling candy wrappers are another temptation for Jack and Wendy. If swallowed, these could cause intestinal obstruction or even rupture. 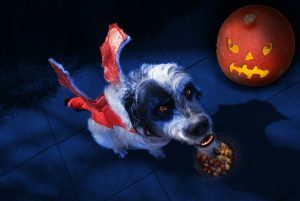 If things at your house go off script, and you think that your pet has gotten into the candy stash, give us a call. Our cast of players is on call to help ensure that no matter what your drama queen or film king does, your Halloween has a happy ending! It’s a night to your kids wildly anticipate: free candy, spooky decorations and the chance to dress up like a Ninja. For your pets, it’s a night of being jolted repeatedly by the ring of the doorbell and scared silly by those strange beings just outside the door. 2. No-Glo. Glo sticks and glowing jewelry can be a great accessory for children, but endanger cats, in particular. Their curiosity may prompt them to bite a glow-stick open and release dubutyl phthalate. (We can’t pronounce that either!) This clear or yellow oily liquid can cause irritation to your pet’s skin or eyes. Watch for excessive drooling, gagging, or retching. 3. Masked Dangers. In the pictures, your pet totally rocks the look. However, before you start going door to door, please make sure that the costume doesn’t limit vision, movement, or breathing. Also look out for beads or any small part your pet could ingest. 4. A Bad Wrap. Candy-flavored wrappers may be too much temptation for your sniff-happy dog or your curious kitty. Once ingested, these wrappers can block small systems and cause all sorts of problems. 5. Burn Notice.Avoid placing real candles in jack-o-lanterns or in your decorations. One lightning-quick move by your cat or dog could accidentally start a fire. 6. A Valid ID. Are your pet’s tags up to date? If your pet bolted and ran a few blocks from your house, updated tags could ensure the return of a worried (or oblivious) wanderer. 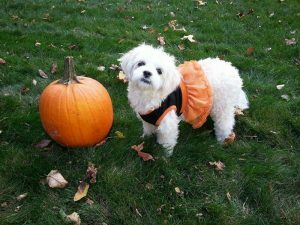 Halloween doesn’t have to be a scary night for your pet or a headache for you. Take a few precautions for a fun, pet-friendly holiday. Happy Halloween from everyone at Town N Country! Dr. Horn and Melissa knew I was on a budget and gave me advice in what we could leave out and what we needed to do to get Chicharrón back to being his happy self again. Maria H.